18 x 24" laminated poster. 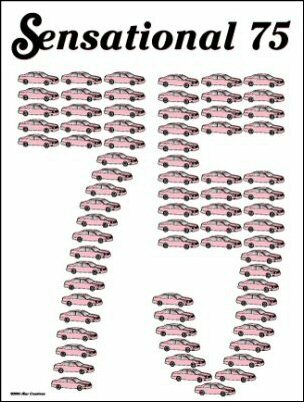 Write your unit members names inside the car as you strive for a unit of 75 members. Can also be used to track lipsticks sold, timewise sets sold, bookings per month, etc.